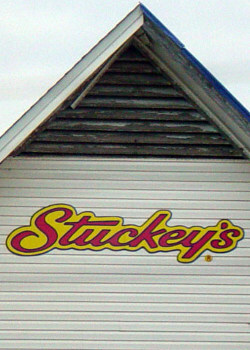 A picture of a Stuckey's sign I took near the Missouri/Arkansas border. Is Lucky alive or dead? What happens when the O’Briens make a stop at Stuckey’s? And more important: what happens after the Stuckey’s stop? While my wife and I visited my mom on her birthday today (Elvis’s birthday would have been on January 8, too! ), we let my mom go to random.org to select the winners of the giveaway. A signed copy of Troy Paiva’s book, Night Vision: The Art of Urban Exploration (affiliate link), goes to Starr Capps! The winner of 1,000 Places to See in the U.S.A. & Canada Before You Die (affiliate link), is Janie Jones! 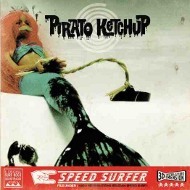 And…the winners of Pirato Ketchup’s debut EP are Anita Callender, Diane Donald, and Carolina DeWitt! I’ll be in touch with the winners in a day or so for shipping information. Before getting to this week’s chapter, a quick reminder that there’s now a Facebook page for Hell Comes With Wood Paneled Doors at facebook.com/roadtripfromhell. 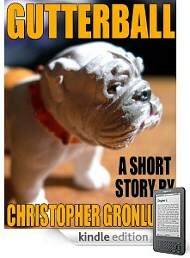 It’s a great place to keep up with podcast news and other things I have planned for the story, so please stop by and Like it. All righty, then — here we go!